At Documation, we will show users how DITA allows companies to deploy products in international markets faster and with better quality. 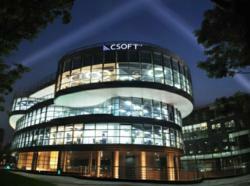 CSOFT International, Ltd., a leading provider of multilingual globalization services and language technology, announced today it will exhibit at Documation 2012 in Paris, France. CSOFT will partner with Componize, a company that offers DITA-based content management services, to demonstrate the benefits of using DITA in localization. The partnership will also leverage the companies’ combined ability to deliver highly efficient end-to-end quality translation and publication solutions. Documation is considered a leading international trade exhibition and conference on business related documents and content management. Last year, the show drew over 6,000 attendees, including manufacturers and suppliers of technological solutions for document and information management, providers and integrators of content-related services, and software publishing and computing companies. CSOFT will be at booth F22. For more information, please go to http://csoftintl.com. All media inquiries should be directed to Melissa Taing, CSOFT’s director of marketing who will also be at the show and can be reached at melissa.taing(at)csoftintl(dot)com. CSOFT International Ltd., is the world’s leading provider of multilingual localization, testing and language technology solutions. Recognized as one of the Top 5 Language Service Providers worldwide, CSOFT delivers quality-driven localization and language solutions with fanatical customer service, ISO-certified processes, and an award-winning multinational leadership team. Componize is DITA CMS software that optimizes the collaborative production, management and publishing of high-volume, business-critical documents. Componize allows large organizations to easily transition from time-consuming and error-prone document management to the latest in DITA CMS solutions. Today, Componize is the trusted DITA CMS for AMD, Kaplan, NXP and SAP, among others.